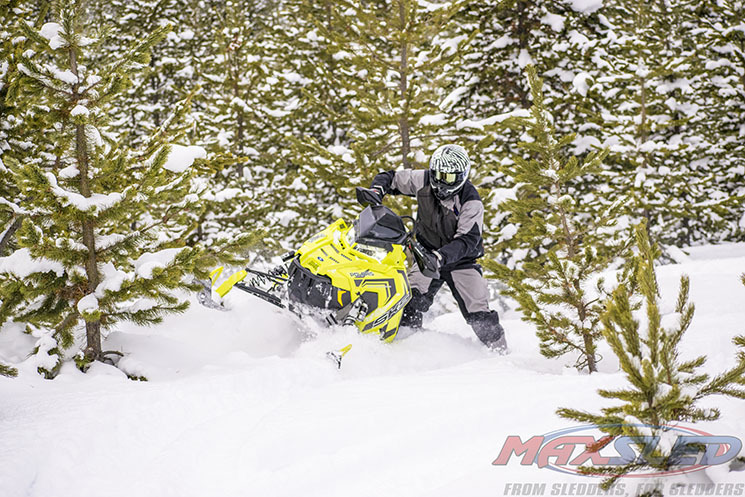 As consistently rideable snow on the trail becomes less reliable every year, the snowmobile industry has responded by investing more heavily in the crossover and mountain segment than anywhere else. Makes sense from a business standpoint: if the snow is most reliable in elevation, where you can ride a truly great trail system and also get off trail, that’s where the R&D should go. 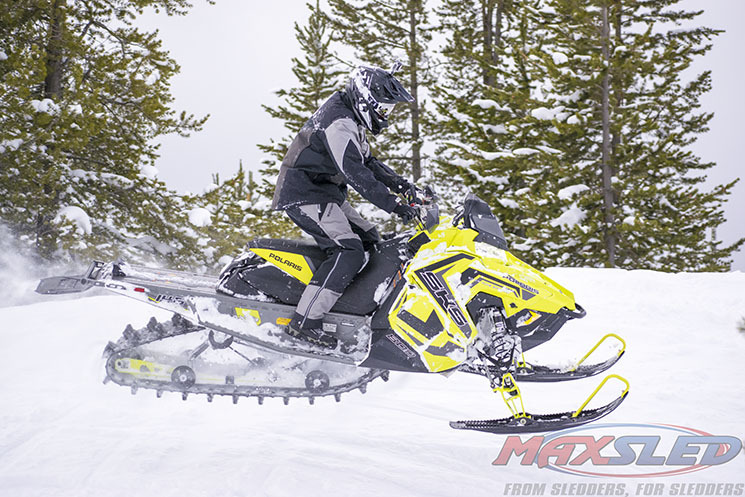 All consumers reap the benefit here with amazing do-it-all sleds in the Crossover segment. This year our MaxRiders tended to favor the 50/50 to 70/30 off trail/trail models. Here are their personal #1 and #2 favorites in the Crossovers. As always, no brand politics are allowed into the Riders’ Journal entries. No counting each manufacturer’s selections. Just the pure thoughts of the guys who rode. Enjoy! #1 Polaris 800 SKS 146. 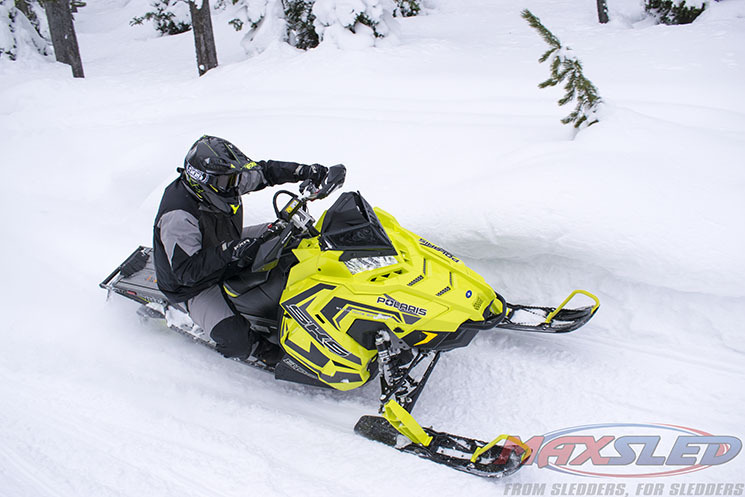 Polaris nailed it this year withe the SKS 146! It’s like they unleashed the beast. Outta the box the power is unbelievable– the skis just leave the ground with a snap of the throttle and it wheelies everywhere. It’s so much fun! 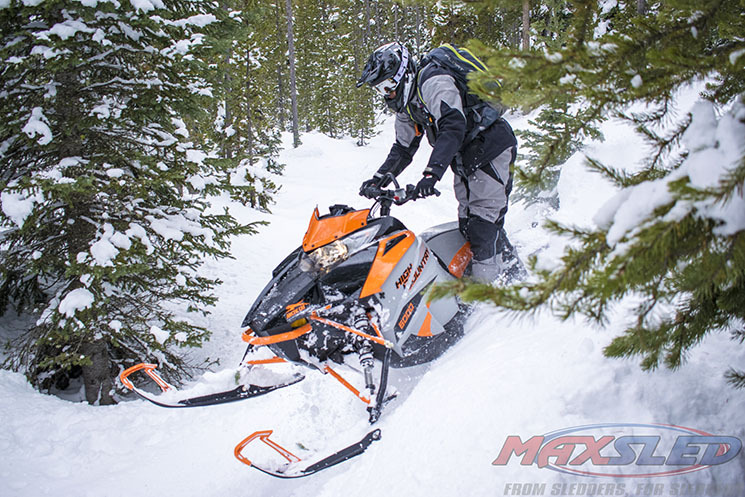 This sled is great for the person who loves to get off the trail and beat around the trees but yet loves to race his buddies down the trail it’s just an absolute blast. #2 Ski-Doo Renegade BCX 146. 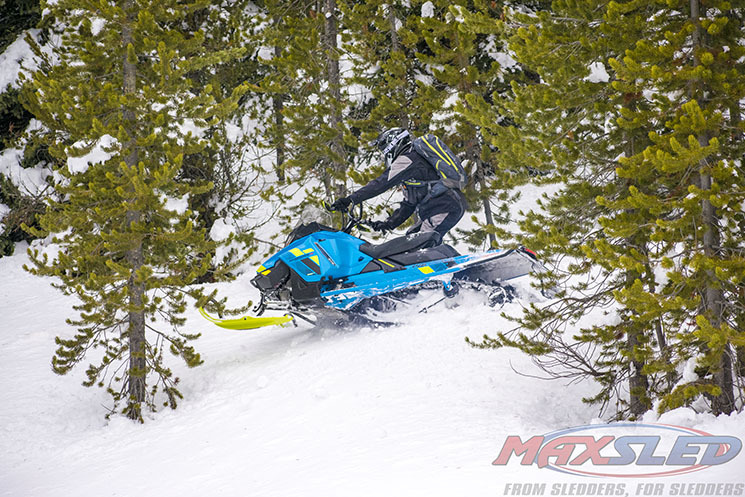 Ski-Doo Renegade is a fun sled on and off the trail. This sled corners really well, with good bite on groomed trail. The suspension just soaks up the bumps, but yet your off trail capabilities are there, too. Being able to jump off trail and hit the deep snow in the trees with it makes it a great all around sled in my opinion. As a Midwest guy, I grew up riding trail sleds. Over the last 6 years I’ve made the switch to backcountry and mountain riding, but still love the occasional trail rip. 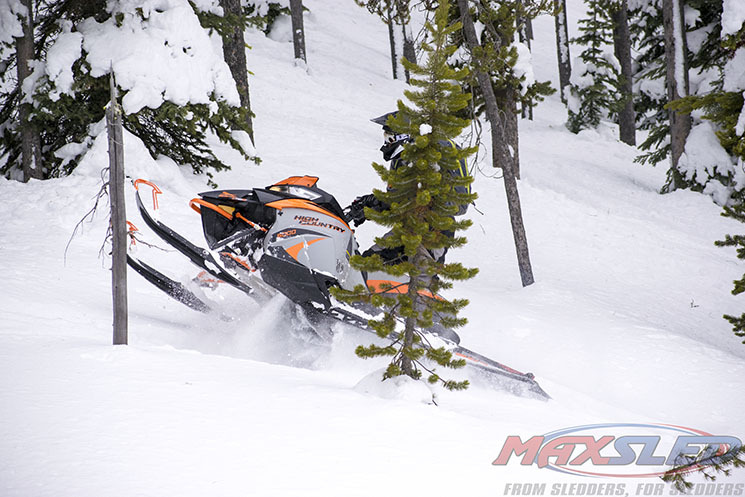 Crossover sleds are a great way to be able to do it all. 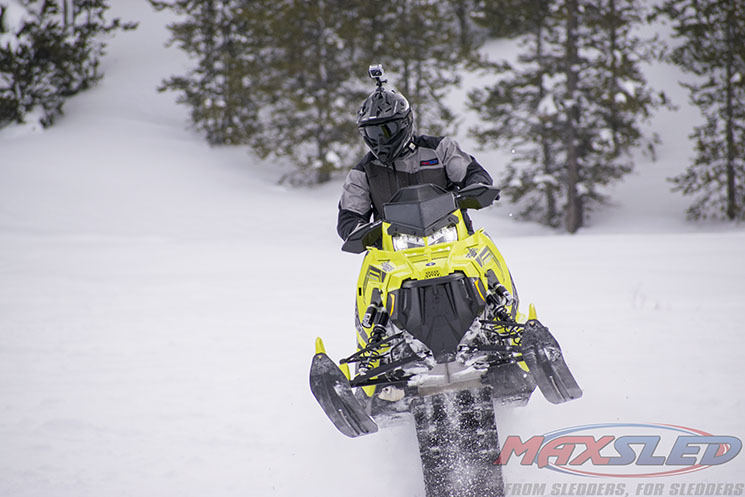 #1 Ski-Doo Renegade BCX 146. This sled’s trail manners are incredible– zero inside ski lift, eats the moguls, front and rear shocks are dialed in awesome, no tippy feeling while cruising the trails. Now take this nimble sled off the trail and it flat out works. It’s easy to turn over, and carve your way through the trees in the powder. Plenty of power with the 850. This is a true crossover sled. #2 Polaris 800 SKS 146. The Polaris SKS’ off trail capabilities are endless. It gets on top of the powder quickly, holds a line while side hilling and gives you effortless carving. I thought it handled trails with ease, takes on the nastiest moguls with ease. The SKS can be a bit tippy without any rider input, but I consider this a 60/40 sled, focused more off trail than on trail. I would definitely be hitting the untouched logging roads, and powerlines in the western UP with this bad boy if it were in my garage. After riding this sled, the only word I could say is ” wheelie-ability”! I loved the Snow Check Polaris 800 SKS 146! This machine just works great. Trail manners were great from flat cornering, good in chatter bumps. It really shines in the off trail portion. Loves deep snow, sidehills great, really gets up on the snow with ease! Plus I love how easily it wheelies, great fun factor!! 2018 Arctic Cat XF 6000 High Country. I really enjoyed the Arctic Cat XF 6000 High Country. After riding all the other sleds with 800-class engines, it was definitely a little bit down on power, as you’d expect. But I loved how easy it was to get through powder and sidehill. I also thought the High Country’s trail manners were good, with flat cornering and good bump handling. 2018 Polaris 800 SKS 146 Snow Check. 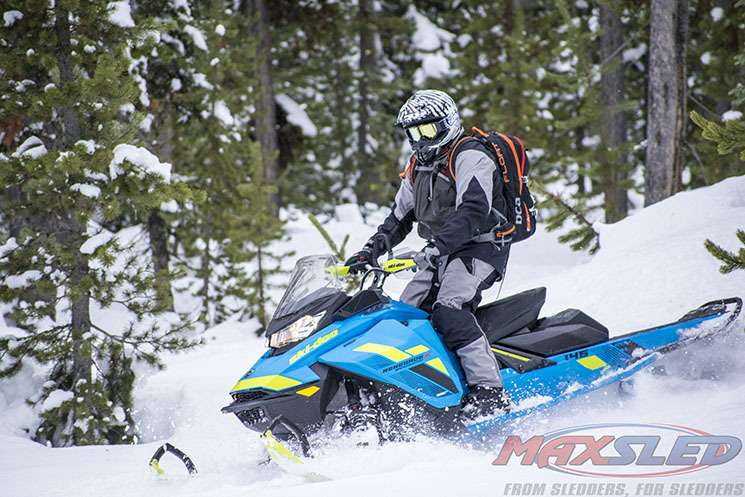 This sled felt very capable of holding its own in the mountains and backcountry, as well as being a well-mannered trail sled. It seemed to have plenty of ski lift, or as we call it, “wheelie ability” to have a blast on the mountain, but still managed to handle very well on the trail. By far my favorite cross over. #2 Arctic Cat XF6000 High Country. I’m a fan of having a sled with a vertical steering post for mountain riding. Which the Cat and Polaris both have. Giving them my top two picks. The Cat’s new narrower plastic and off trail platform is a definite plus for 2018. I love how well the sled can sidehill and not panel out.